Bipartisan bill creates incentives for states to improve reporting of domestic violence records to federal background check systems. Long Island, NY - November 2, 2017 - U.S. Representatives Kathleen Rice (D-NY) and Ryan Costello (R-PA) today introduced new legislation to help prevent domestic abusers from buying guns by creating incentives for states to provide complete domestic violence records to federal background check databases, and by providing grant funding to help states improve their reporting processes. H.R. 4183, the Domestic Violence Records Reporting Improvement Act of 2017, encourages states to improve domestic violence records in the National Instant Criminal Background Check System (NICS) in two ways. First, it would require states to properly report domestic violence records in order to be eligible for National Criminal History Improvement Program (NCHIP) grants, which provide funding to states to improve reporting of criminal history records and protection orders for gun purchaser background checks and for other reasons. The bill would require NCHIP grants to be used specifically to improve the accessibility of domestic violence records through NICS, unless the state receiving the grant has already made a certain percentage of its domestic violence records accessible through NICS. Second, the bill would make NICS Act Record Improvement Program (NARIP) grants more available to states that want to use those grants to improve the accessibility of domestic violence records in NICS. NARIP grants are available to states specifically to improve the reporting of criminal history, mental health, and protection order records to NICS for gun purchaser background checks. However, states are currently not eligible for these grants if they haven’t implemented a program that provides a way for people subject to the mental health disqualifiers to regain their gun eligibility. 21 states did not have such programs as of February 2016. H.R. 4183 removes that legal barrier so that states that want to improve domestic violence reporting are not denied funding that can help them do so. The full text of H.R. 4183 is available here. 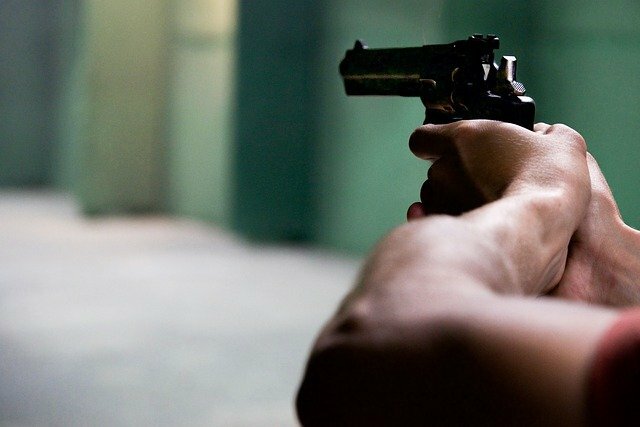 Research has shown that victims of domestic violence are at a much higher risk of being killed if their abuser owns a gun, which is why federal law restricts gun ownership for individuals who have been convicted of certain domestic violence misdemeanors as well as individuals who are subject to certain kinds of restraining orders. However, domestic abusers who meet these criteria are still often able to pass background checks and buy guns because the federal background check system lacks sufficient information on domestic violence records. The federal background check requirement involves a search through the National Instant Criminal Background Check System (NICS), a group of databases maintained by the FBI using information provided primarily by states and local governments. The extent to which domestic violence records are accessible during a NICS background check varies significantly from state to state. Many states have no protocols to distinguish misdemeanor domestic violence convictions from other misdemeanor convictions in their records, and many states do not provide sufficient information to NICS about domestic violence restraining orders. Without this information, NICS cannot readily identify whether a conviction or restraining order disqualifies a person from possessing a gun, meaning that domestic abusers can still pass a NICS background check. According to the Government Accountability Office (GAO), inadequacies in the available records allowed domestic abusers to pass background checks and obtain guns more than 6,700 times between 2006 and 2015. First, it will make proper reporting of domestic violence records a condition for a state to use NCHIP grant funding for other purposes. States will be required to use this funding specifically to improve domestic violence reporting records, unless and until a state has already made a certain percentage of its domestic violence records accessible through NICS. Second, it will made NARIP grants more available to states that want to use the grant funding to make domestic violence records more accessible in NICS. As of February 2016, 21 states were ineligible for NARIP grants because they don’t have a program that provides a way for people subject to the mental health disqualifiers to regain their gun eligibility. H.R. 4183 removes that legal barrier and allows all states to receive NARIP grant funding if they use it to improve the reporting of domestic violence records. Subject: LongIsland.com - Your Name sent you Article details of "Reps. Rice & Costello Introduce Bill to Help Prevent Domestic Abusers from Buying Guns"